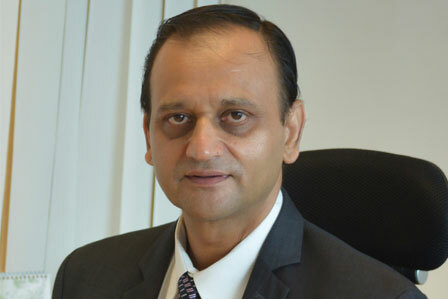 Tata Power Solar is recognized as the largest solar company in India. Tata Power Solar specializes in high efficiency PV module manufacturing and comprehensive EPC solutions. With a strong international footprint, Tata Power Solar is an active contributor in shaping the renewable revolution. As the largest solar company in India, we deploy world-class technology to design, install and commission benchmark solar projects worldwide. The highly skilled and diligent team ensures the completion of each solar plant from concept to commissioning including its operation and maintenance for the complete lifespan of the plant. Tata Power Solar has won the prestigious Global Performance Excellence Award 2018. The internationally recognised award that reflects the evolution in the field of quality. The evaluation has a specific focus on product quality and service delivery coupled with a reflection of results and process orientation. All aspirants of the GPEA award are national award winners in their respective countries. We have competed with thirty role mole organizations and came out triumphantly by bagging the Global Performance Excellence award in the "World Class" category. 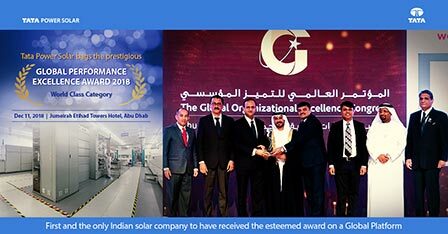 The coveted award has been given to Tata Power Solar at a glittering event at the Jumeirah Etihad Towers Hotel, Abu Dhabi on December 11th 2018. The award is the only internationally recognized accolade that reflects the evolution of organizations in the field of quality. The GPEA is primarily Baldrige or EFQM (European Foundation for Quality Management) based model that provides a comprehensive approach to managing organizational success through embracing of validated best practices. 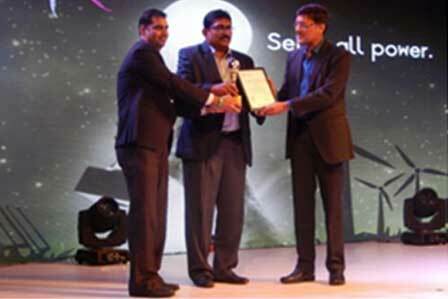 Tata Power Solar has been recognized as a"role model for future organizations to emulate." 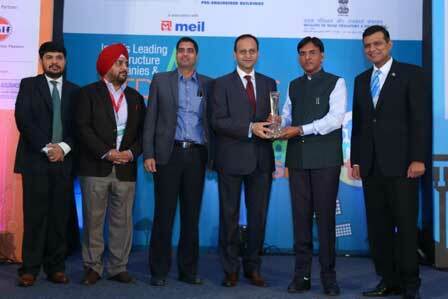 Tata Power Solar has won the ‘CII Performance Excellence award’ for Mandsaur 50MW under Solar Plant category. Confederation of India Industry felicitated India’s leading infrastructure and solar companies based on their project performances. An independent jury judged the nominations on various financial and qualitative parameters and an array of pre-defined project execution criteria. The 50 MW Project for NTPC at Mandsaur, Madhya Pradesh project site had many undulations on the allotted piece land. The terrain slope was more than 11 degrees at various points ranging up to 30 degrees. Tata Power Solar have developed the project on these undulations, without disturbing the natural contours of the land or blasting the rocks, which would have otherwise affected the environment. Tata Power Solar is the 1st organization to complete performance Guarantee (PG Test) Test with 6 million units excess generation than guaranteed commitment. This award demonstrates our excellence in domestic manufacturing and EPC services over the last 29 years. It also reinforces our focus on the utility segment, and our ability to continuously evolve and set the industry standards on innovation and delivery. 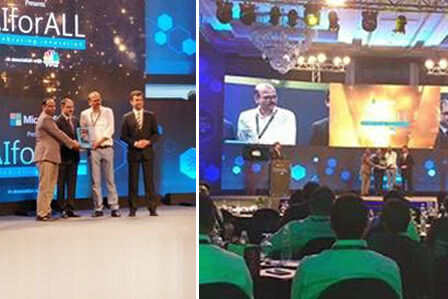 Tata Power Solar has achieved another milestone with “Optimizing operations with AI” award in the recently held Microsoft Awards 2018 event at Bengaluru. This award was given to Tata Power Solar for leveraging Artificial Intelligence to improve current technology used in the organization. The overall AI deployment at Tata Power Solar helped the organization to rule out the use of conventional image processing and rule-based algorithms for sorting defective solar panels. This automated solution piloted on the shop floor operations. Based on the observations, it is concluded that the solution resulted in substantial improvement in operational efficiency by improved throughput, reduced costs and higher long-term customer satisfaction. 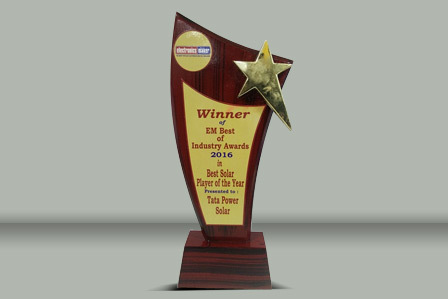 This recognition proves that Tata Power Solar has what it takes to be the market leader and set benchmarks within the industry. 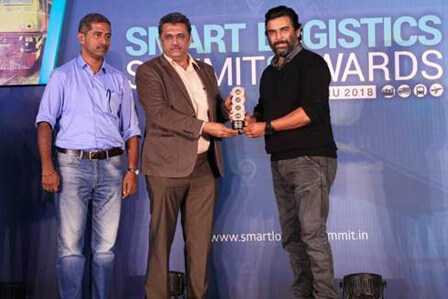 Tata Power Solar has been accredited with “Smart Importer Solar” in the recently held Smart Logistic Awards 2018 at Bengaluru. 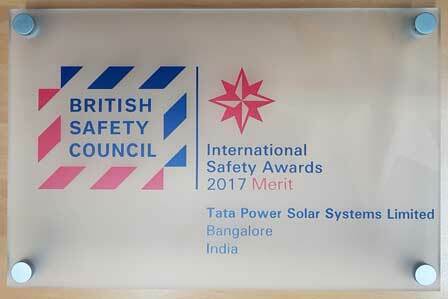 Tata Power Solar received this honour after a rigorous assessment by Maritime Gateway, an external assessment body. Smart Logistic Awards 2018 recognize the best performers across the value chain of shipping and logistics industry in Karnataka region. These awards encourage businesses that have overcome bottlenecks and improved their process flows with smart and innovative business strategies while recording highest volumes. Smart awards also recognize the key players of the industry for their extreme support to EXIM Market that eventually boost the Karnataka region’s overall market and trade. 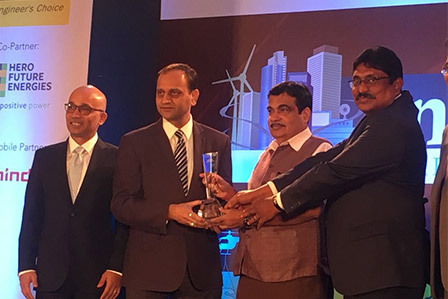 Tata Power Solar, India’s largest integrated solar company bags the coveted – Solar EPC Company of the Year in the Utility Scale category of 50MW – 100MW. It is a testimony of our continued focus on efficiency and quality, coupled with leveraging technology and excellence in executing projects. Mr Ashish Khanna, MD & CEO, Tata Power Solar, has been conferred with ‘Outstanding Contribution To Industry Development’ Award at the India Solar Week Leadership Awards 2018. This award ceremony was be held on 12th July, at Hotel Vivanta By Taj, Dwarka, New Delhi and was attened by my prominent dignitaries from the industry. 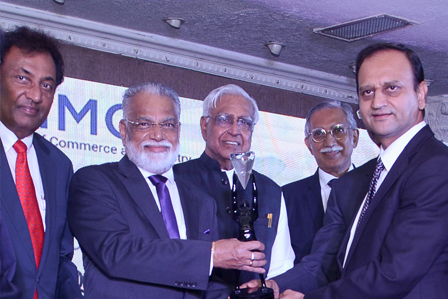 Tata Power Solar won the coveted IMC Ramkrishna Bajaj National Quality Award NQA award 2017 for achieving business excellence in the manufacturing category. We are pleased to announce that Tata Power Solar has won the ‘Dun & Bradstreet – Everest Infra Awards 2017’ under Infrastructure Project award for commissioning India’s largest solar project under Domestic Content Requirement (DCR) – 100 MW NTPC at Anantapur, Andhra Pradesh. 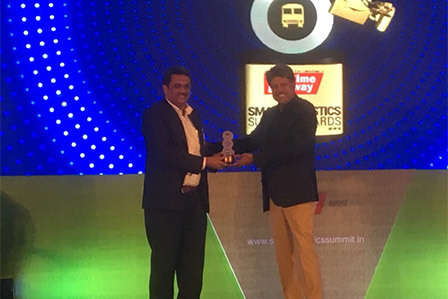 We are pleased to announce that Tata Power Solar has won the Smart Logistic Awards 2017, which recognizes the best performers across the value chain of shipping and logistics industry in Karnataka Region. These awards encourage businesses that have overcome bottlenecks and improved their process flows with smart and innovative business strategies. Smart awards also recognize the key players of the industry for their extreme support to EXIM Market that eventually boost the Karnataka overall market and trade. Research team of Maritime Gateway conducted an extensive research and analysed the performance of companies in shipping and logistics industry in Karnataka region and arrived at final list of winners based on the key parameters. Tata Power Solar Systems Ltd won the “Smart Importer – Solar” award and Mr. Vijay Kumar Shimpi, Chief – Contracts, Procurement & Logistics, received the award from Mr. Kapil Dev, who is considered one of the greatest cricketers of all time and India’s first world cup winning captain in 1983. 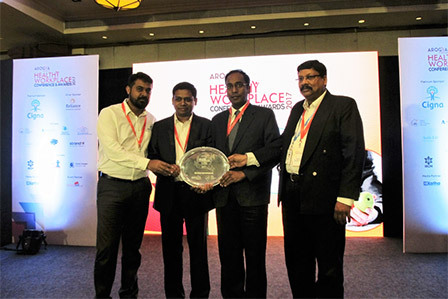 We are pleased to inform you that Tata Power Solar has been accredited with “Platinum” grade in the recently held “Healthy workplace in India Awards”. We have received this honor of highest degree after months of rigorous assessment by a team of external auditors. The award honors the companies which establish a work-life balance and shifting mind-set metrics, in addition to a workplace no-tobacco-use policy and easy access to healthy foods and opportunities for physical activity. The awards are instituted by Arogya World, which is a US-based global health non-profit organization & focuses on prevention of non-communicable diseases (NCDs) through health education and lifestyle change. More than 100 companies participate in these awards. 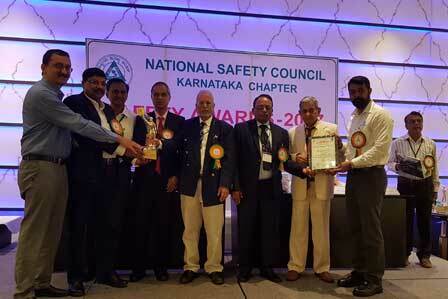 Tata Power Solar won the “Unnatha Suraksha Puraskara” award by National Safety council of India (Karnataka Chapter) for our safety performance in our operations. The British Safety Council London presented the award, which which allows applicants to measure their achievements against those of their peers in the UK and internationally. Tata Power Solar won the India Solar Week Excellence Awards 2017 in 100 MW or below project based category for excellence in commissioning the 100 MW solar project for NTPC in Anantapur, Andhra Pradesh. The award was won for demonstrating the decisive principles we have set at RSSB-EES 12 MW project with exceptional safety standards for a complex project of this scale. Tata Power Solar received this honor after a 3 month rigorous assessment by a team of external auditors, where more than 100 companies participated. We were voted the #1 company in this category by the Solar Today Jury, based on a detailed study on various solar players, conducted by Bridge to India, a leading cleantech consulting firm. 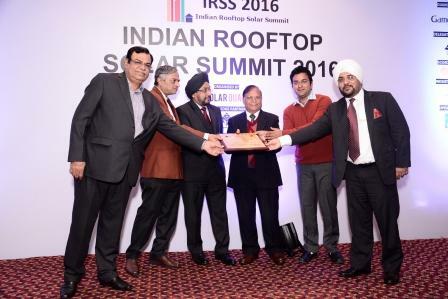 Tata Power Solar won the ‘Leading EPC – Solar’ Award, at REI 2016, for our commissioning of the RSSB-EES 12 MW project. These awards, at EM (Electronics Maker) Awards, highlight best companies chosen by the magazine’s print and online subscribers, through a survey, followed by a jury round. 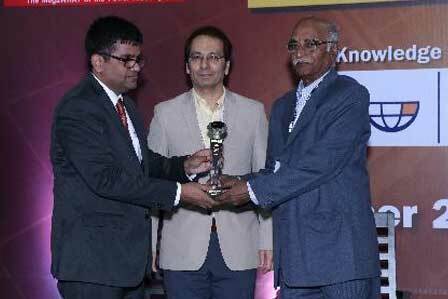 Tata Power Solar won the ‘Rooftop Solar Power Projects’ Award by MNRE in the Channel partner/EPC contractor category. 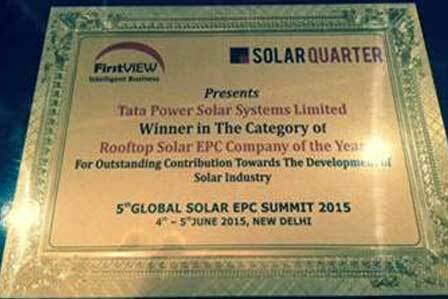 Tata Power Solar won the ‘Rooftop Solar EPC Company’ Award, in the Commercial and Residential projects category, at the Indian Rooftop Solar Summit 2016, instituted by the FirstView group. 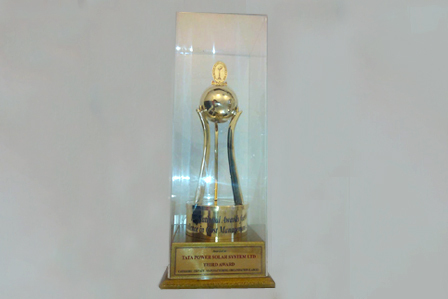 Tata Power Solar won 3rd prize in the ’12th National Award for Excellence in Cost Management – 2014′ (Category – Private manufacturing: Large organization). Instituted by the FirstView (which publishes the Solar Quarter magazine), the award was part of the ‘Solar PV EPC Company of the Year’ category. In addition to being evaluated on factual numbers, the judging criteria included innovation in technical services and project financing. 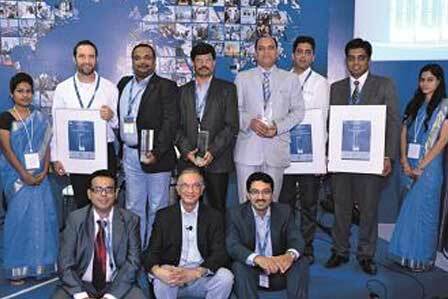 The Tata Power Solar team led by Mukul Sinha won the Intersolar Award 2014 for the 50 MW NTPC Project in the Utility Scale Project category. 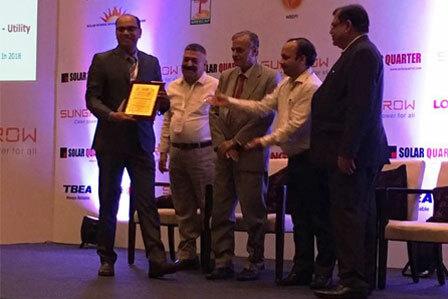 Tata Power Solar won the INDIASOL PV Supplier award in October 2014. 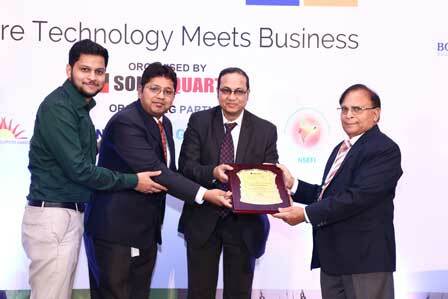 Tata Power Solar won the IMPACT Business Award for “Innovative Models Promoting Adaptation and Climate Technologies” amongst several international applicants. Tata Power Solar’s entry for the award was `Transforming Lives with Solar Solutions – Solar Home Lighting Project of Tata Solar with Gramin Banks’. Tata Power Solar was adjudged the winner in the separate categories of SOLAR CELLS and SOLAR MODULES by the renowned EFY Awards 2011. 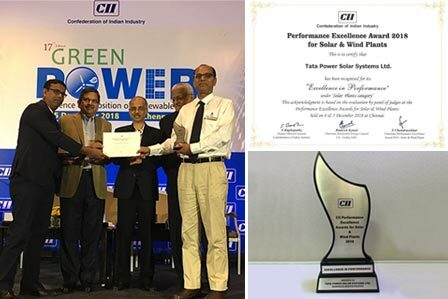 Tata Power Solar was presented with the Certificate of Merit and Trophy and Certificate of Commendation in recognition for its meritorious achievement in CII Southern Region Excellence Award. Tata Power Solar Systems was selected for the Prestigious ‘Samman Patra’ Award given by Government of India, Ministry of Finance. 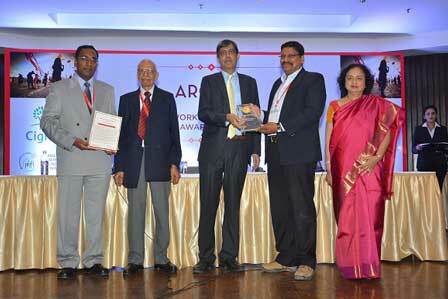 Tata Power Solar Systems CEO, Mr K Subramanya, was conferred the reputed Sarabhai Award under the ‘Technovation Awards 2011 – Celebrating Excellence in Semiconductors and Electronics’. 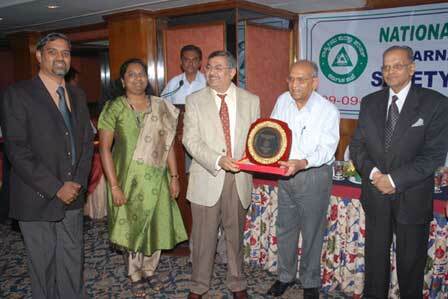 Tata Power Solar Systems received the ‘Golden Peacock Award for Occupational Health & Safety for the year 2011’. 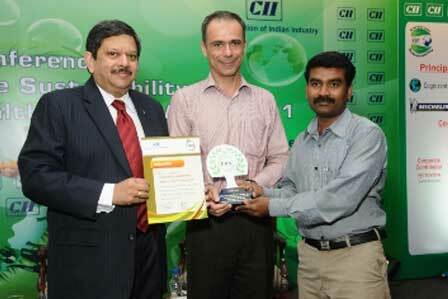 Tata Power Solar Systems received the FICCI Annual Award for Outstanding Achievement in the Environmental Sustainability of Business for the year 2008–09. Mr K Subramanya, received the “Electronics Man of the Year 2010” award at a ceremony held during the EFY Expo at New Delhi on 18 February 2011. 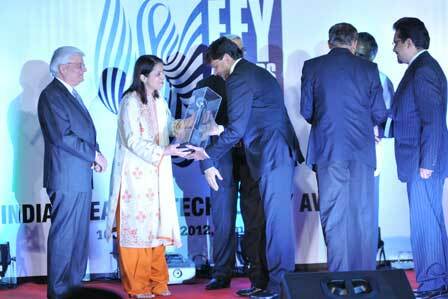 Tata BP Solar has received the prestigious EFY Readers’ Choice Award in Solar Cells Category for the year 2010. Tata Power Solar received the prestigious State Level Export Award under Product Category, Electronics & Communications Non SSI – Gold from Visvesvaraya Industrial Trade Centre, Department of Industries & Commerce, Government of Karnataka, for the year 2007-08 and 2008-09. 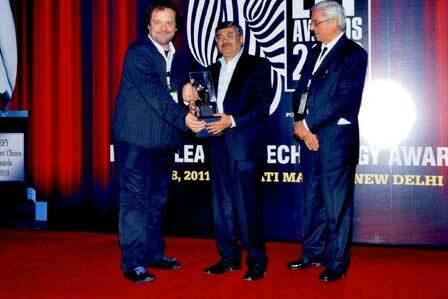 Tata Power Solar Systems won the EFY Readers’ Choice Award in Solar Cells Category for the year 2009. Mr. Tom Prescott, Head of BP Chief of Staff’s office received the award on behalf of Tata Power Solar from Mr. Ola Ullsten, Former Prime Minister of Sweden & Chairman, WCFCG, UK and Dr. Madhav Mehra, President, World Council for Corporate Governance & World Environment Foundation (UK). The Unnatha Suraksha Puraskara Award for Outstanding Safety Performance and Management Systems in Electrical Parts category of Industries from National Safety Council, Karnataka Chapter for the year 2006 – 08 was picked up by Tata Power Solar. Tata Power Solar Systems received the Export Excellence Award for Star Performer as Large Enterprise under Product Category of Miscellaneous Engineering Goods from EEPC India for the year 2007-08. The Export Excellence Award for Star Performer as Large Enterprise under Product Category of Miscellaneous Engineering Goods from EEPC India for the year 2006-07 was won by Tata Power Solar. Tata Power Solar Systems received the State Level Export Award under Product Category, Electronics & Communications Non SSI – Gold from Visvesvaraya Industrial Trade Centre, Department of Industries & Commerce, Government of Karnataka, for the year 2005-06 and 2006-07. 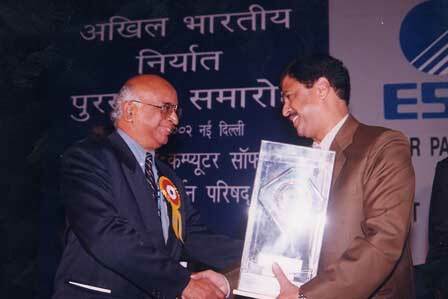 The ICAI award for Excellence in Financial Reporting was won by Tata Power Solar in 2008. Tata Power Solar Systems received the prestigious Srishti Green Cube Awards for continuous commitment towards Good Green Governance for the year 2008. The Best Presented Accounts and Corporate Governance Disclosures Award for 2008 was won by us in the manufacturing sector category. 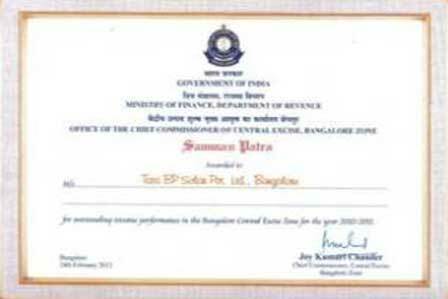 Tata Power Solar Systems received the Enertia Award 2008 in the category of Project Management after we electrified more than 300 remote villages through solar power plants. Tata Power Solar Systems won the ESC Sectoral Award in recognition of highest export of “Electronic Components” in the Non-SSI category for the year 2005-06. 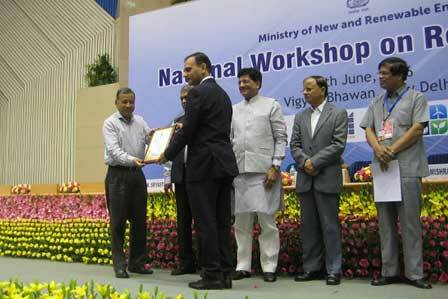 The award is instituted by Electronics and Computer Software Export Promotion Council (ESC).